This post is part of a series to augment the Atlas of the Known World available for free download. The best and latest mapped regions are gathered in this resource guide for you to explore. Hello, there! Thanks for your interest in my cartography. My name is D.N.Frost, and I'm a fantasy author, cartographer, and world-builder. As I work on each book in my Tales of the Known World saga, I make a number of maps to boost my motivation and enhance my craft as a storyteller. Why make so many maps of the Known World? I discovered that maps not only improve my tales, they connect readers more deeply with the world I've created. To help you bring the Known World to life, please enjoy this collection of short overviews and antique maps from my saga. 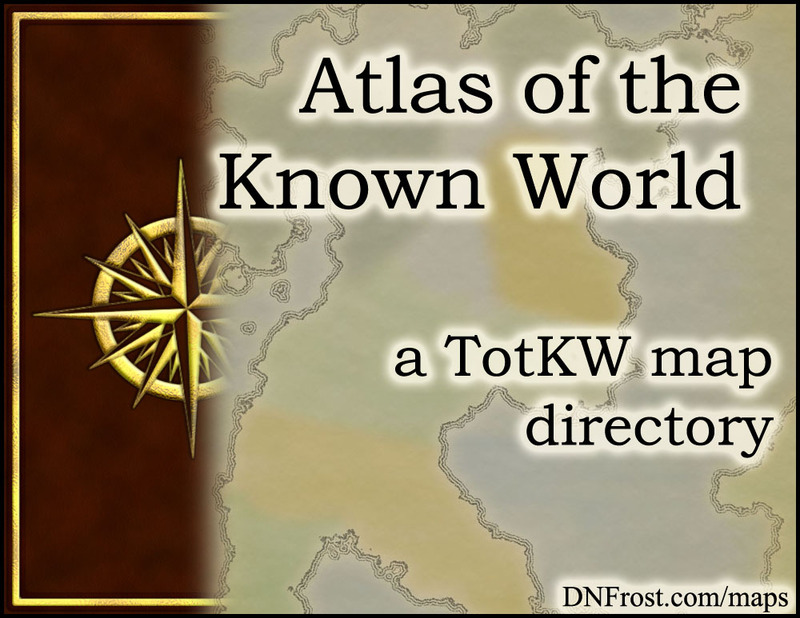 Download your map guide Atlas of the Known World here. These are maps of the diverse regions in my fantasy world. Navigate this intricate realm and the epic fantasy adventures that take place in Book One: Awakening. You'll learn what drives me to keep making maps, and specifics about each region's people, culture, and magic. This resource directory also links to a number of mapped regions and longer blog posts, so you can delve deep into your favorite places. I'm proud to offer you this compilation of my fantasy maps and approach to cartography, and I hope you use this resource to enhance your reading experience. That's it for this post! Check out the latest mapped regions for more.